The football restart is for many clubs either just around the corner, or already begun and you therefore need the right tools, to take on the bitingly cold, windy and rainy February weather. 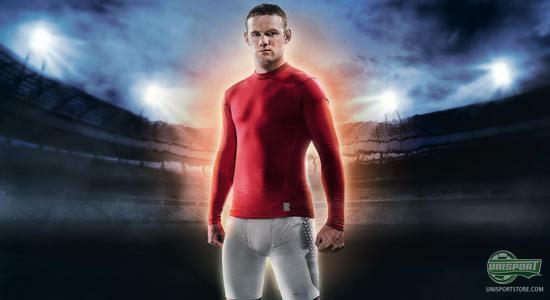 Nike want to help you defy the elements, and their Hyperwarm baselayer-series will keep you warm and dry, even in the most adverse conditions. 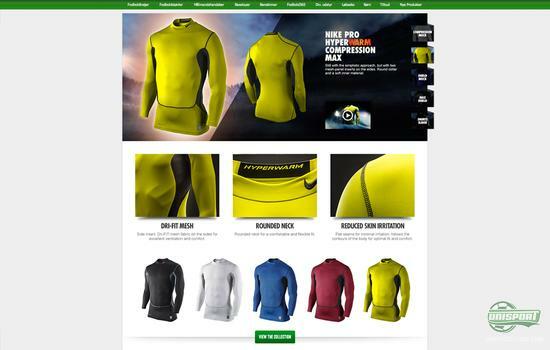 To help you get a deeper understanding of the brilliant baselayer, we have made a cool Hyperwarm campaign site. 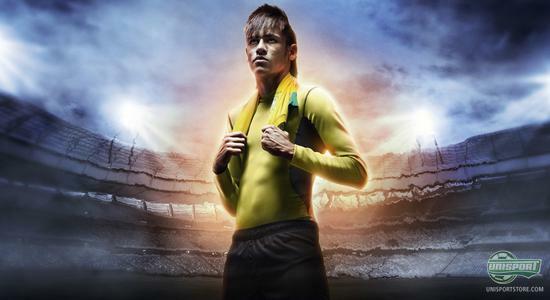 Visit our Nike Hyperwarm campaign here, learn all about the products and get yourself a new wallpaper. When the weather is cold, it is not always fun to play football, and a lot of the time sub zero temperatures, wind and rain can hamper your on field performances  and that is very much undesirable. This is luckily a problem that can be solved by baselayer, and we have, in this weeks campaign, put extra focus on Nikes Hyperwarm baselayer-series, that will keep you warm and dry, even when nature shows its ugly side. 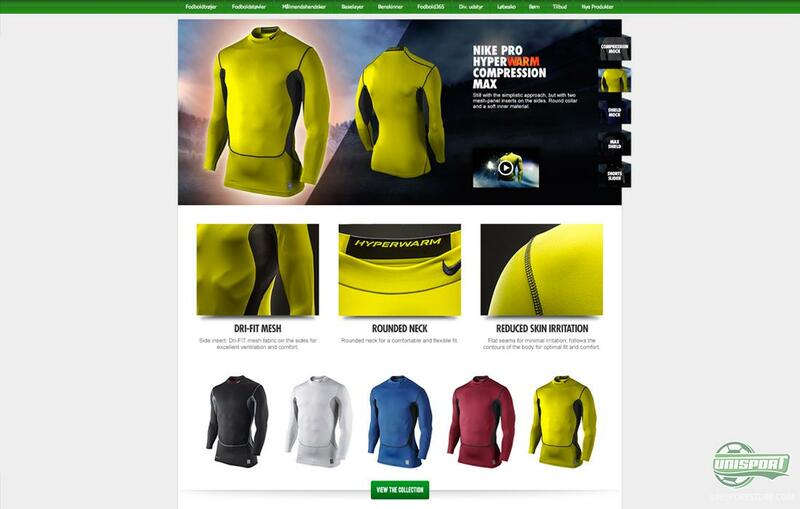 On our campaign site you can read all about the four models, Nike Pro Combat Hyperwarm Compression Mock, Nike Pro Combat Hyperwarm Compression Max, Nike Pro Combat Hyperwarm Shield, as well as the nice Nike Pro Combat Hyperwarm Max Shield. All the models are made with Nikes rapidly drying Dri-FIT material that makes sure, that excess sweat and moisture is wicked from your skin, as well as, the heat you produce is circulated around your body. That way you keep warm by moving. Nike Pro Combat Hyperwarm Compression Mock is the most minimalistic and simple of the four shirts, and with its nice, fleece-like inside material, the Compression Mock is a very comfortable shirt. The shirt is furthermore, as the name indicates, equipped with a so called mock-collar, that protects your neck from the elements and keeps it nice and warm. Slightly more technical is the Nike Pro Combat Hyperwarm Compression Max, that is also made with Dri-FIT  but has also been fitted with two mesh-panels under the arms, thus also given the shirt better ventilation in areas, where it is necessary. Compression Max is made with a less fleece-like inside, but is still soft and nice. 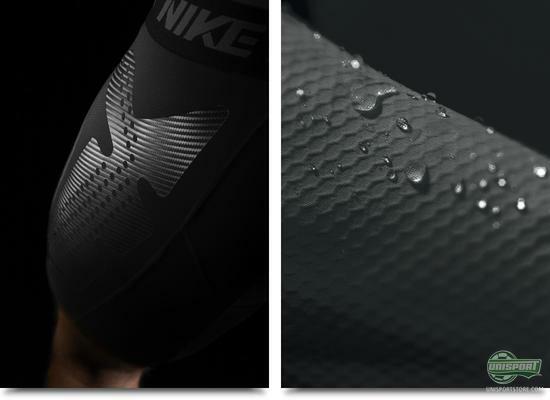 One things is if the weather is cold, but Nike also want to offer you protection from the rain. They do this with their Shield shirts, the Nike Pro Combat Hyperwarm Shield has been equipped with water and wind repellent technology. This means, that rain simply deflects off your shirt, like water a off rock, so you are kept dry and snug. 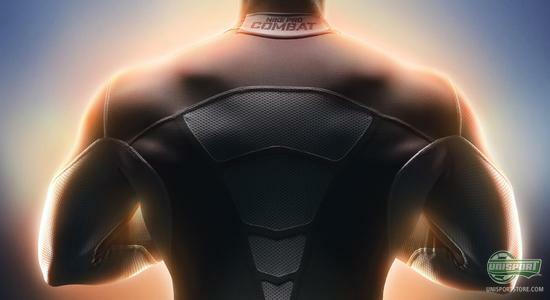 At the same time the Shield has a mock collar and mesh-panels underneath the arms and neck. Nike Pro Combat Hyperwarm Max Shield is Nikes most advanced baselayer, their crowning jewel, their sixteenth chapel, their Rachmaninoff's third and it offers, as you might expect, given the name, max shield-technology. It covers the entirety of the shirts sleeves, so you get the best protection from the cold and wet weather. As well as that, it also has excellent ventilation, as it is fitted with no less than four mesh-areas on the back. The Max Shield is also the shirt, which stars like Iniesta, Rooney and Neymar will use, when it's cold  the ultimate stamp of approval. With Nikes Hyperwarm baselayer you will be ready to take on the weather gods head on, regardless of you playing in storm, drizzle, or a blizzard. You are sure to be well equipped with the Hyperwarm shirts, so look by our massive Hyperwarm-universe and learn all about the shirts  you can also tell us, what you do to combat the cold outdoors.